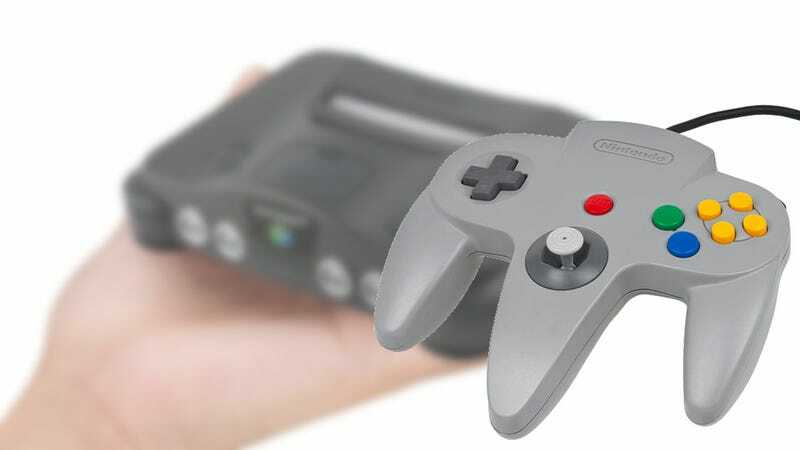 This is the first part of a series of articles on the problems Nintendo would have to overcome (or the compromises we the gamers would need to live with) if Nintendo launches a Nintendo 64 Classic Mini. We got the NES, we got the SNES... Could we get the N64? As of now, it’s just rumored, and is probable, but it might not be easy. The N64 controller was (and it’s still) unique in a lot of different ways: It had an innovative, day-one-available joystick; You could hook 4 at the same time; and you could add accessories to each of them. Unlike modern sticks, that are potentiometer-based, the N64’s uses optical encoding disks, small cogwheels, and thin and wear-prone parts, that are housed in a big (by today’s standards) plastic enclosure. While it’s not impossible to build these again, it would be very expensive to produce for this single product. Used to connect optional Rumble, Controller (External memory), and Transfer “Packs”, via an specially-made connector, it would be a unnecessary cost if added, and ultimately pointless unless the respective accessories are made, too. This, however, made the controller more stable when placed on a flat surface. While we can partially blame ergonomics for this, a big controller means more material, a bigger box, and fewer units shipped per shipment, all of which would mean a more expensive product. And this is only considering controllers of a single color. While the N64 had LOTS of colors available, adding only one additional color (e.g. Atomic Purple) would require different materials and raise, again, the costs. The SNES Classic Mini had several games that had a 2-Player mode, and because of that, Nintendo included two SNES controllers in eawch box. While this avoided the logistical issues of an additional SKU (and for the consumer, the issues of having to hunt it) it surely increased the cost of the package. The N64 upped the ante with 4 controller ports and up-to-4-player games. Saying that including four big controllers would be expensive is an understatement. Given how we’ll be getting more GC controllers in time for Smash, Nintendo could just produce/order more of those and use these instead. And Nintendo is not stranger to selling just the replacement parts. I would even buy these so I can have 1st-party replacements for my old controllers. Keep the size and shape of the controller, but make the most of the space. Like adding some Rumble motors in the empty space inside the handle horns, or putting one in the space that a Controller Pack would use, since the internal shape of the controller might already be modified to house the new stick. Bundle two controllers with the system, one of which would be an Atomic Purple controller. The NES Mini had the Japanese Famicom Mini “alternate” form (with even differently shaped and sized controllers). The SNES Mini had the Euro/Japanese “alternate” form (plus the RBGY controller buttons) so having one single, “international” form for the console could mean we could have two different controller forms instead, right? What do you think? Would you accept these changes to the N64 controller?